Day ten began with a glass of All You Need Is a Cape Juice – with a really involved list of ingredients! Good job it was Sunday morning so I had plenty of time to prepare everything! 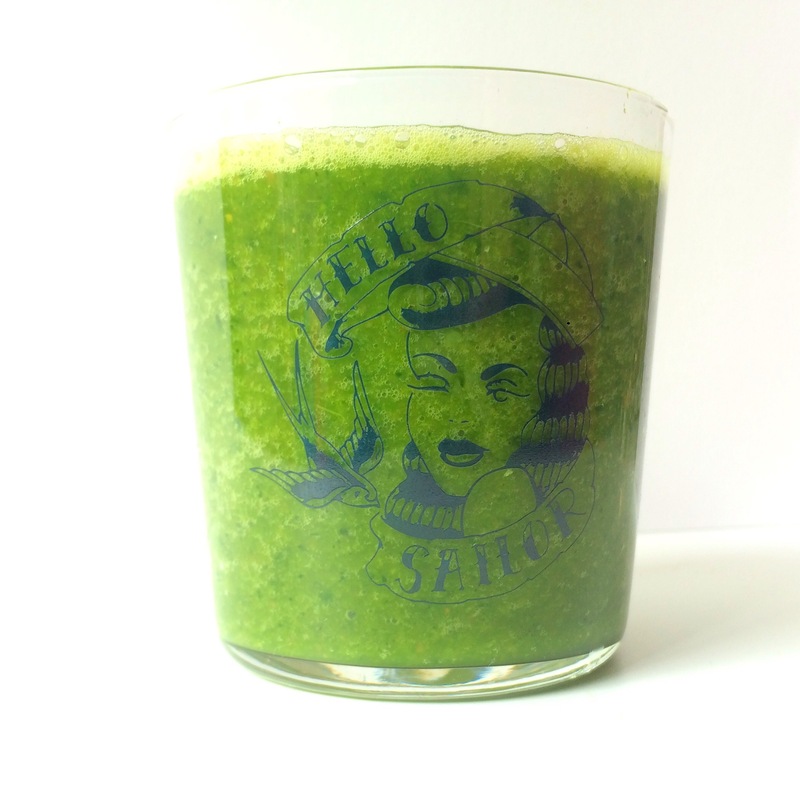 You need spinach, kale, cucumber, lemon, ginger, fresh turmeric, parsley, carrots and a Granny Smith apple. 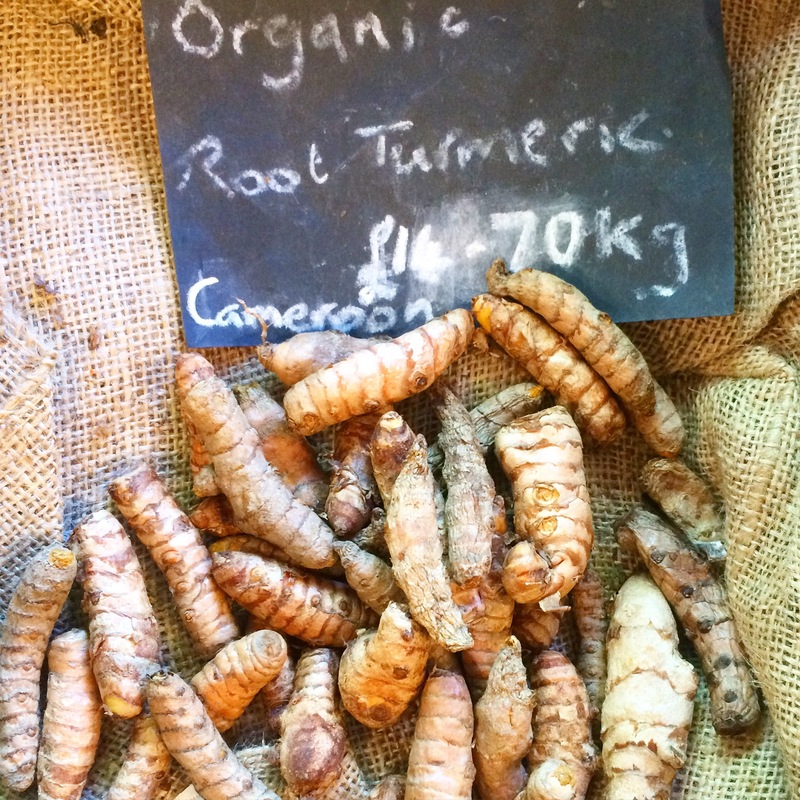 I was going to sub dried turmeric for the raw in this recipe as suggested in the book, but luckily I stumbled across some in Rice Up Wholefoods while I was stocking up! It was so hard to get my blender to mix everything, and in the end I had to do this in batches and add a bit of water to get everything started. My blender is not the best and it took forever. When the smoothie was ready, the taste was pretty powerful, and I can’t say I enjoyed this one as much as I usually do with the rest of the smoothies on the plan. Hilariously, it also turned my tongue and the inside of my lips yellow from the turmeric, which was awesome but also something to bear in mind if you have an important presentation at work the same day! Calories: 214. 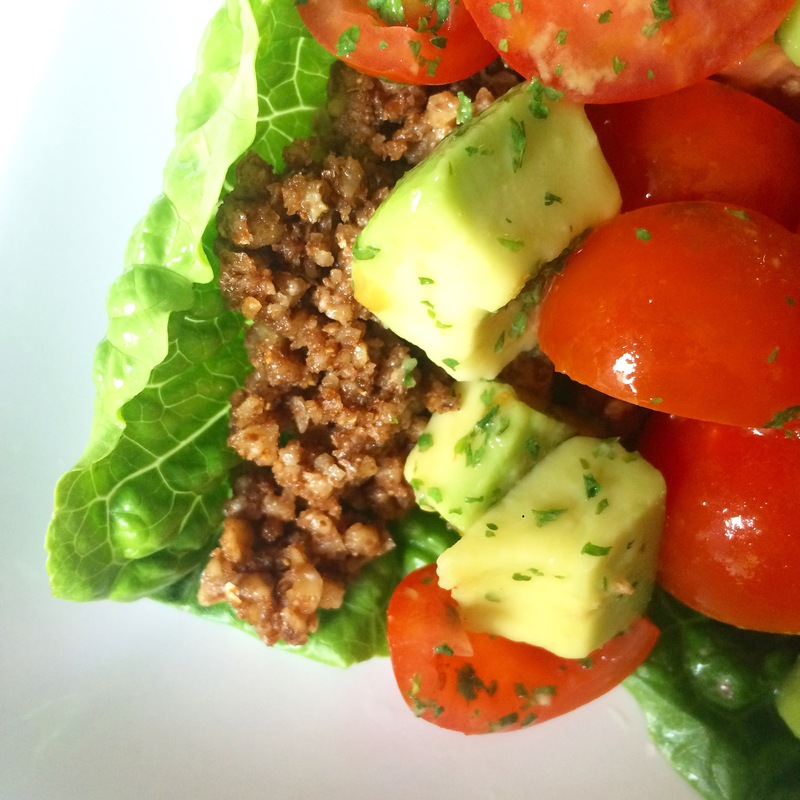 After breakfast, I was keen for some solace in the form of raw walnut tacos – which I was able to try with the liquid aminos I purchased last week. Honestly, I prefer them with soy sauce, but the taste was still pretty good. I won’t say too much more about this as I’ve raved about the walnut tacos before – they were delicious, and the calorie count was 599. I ended up having dinner pretty late, because I had some gardening work to do, then some exercise to fit in! I decided to start doing a seven minute workout everyday (you can find the app online), which consists of jumping jacks, wall sits, push ups, crunches, step-ups, squats, tricep dips, plank, high knees, lunges, push-ups with rotation, and side planks. It was pretty intense – I was going to do this twice, but I could only manage once, then 45 minutes on the exercise bike. Dinner was a huge bowl of salad – I cut this down to half (but I kept double portions of some of the tastier veggies, like tomato). 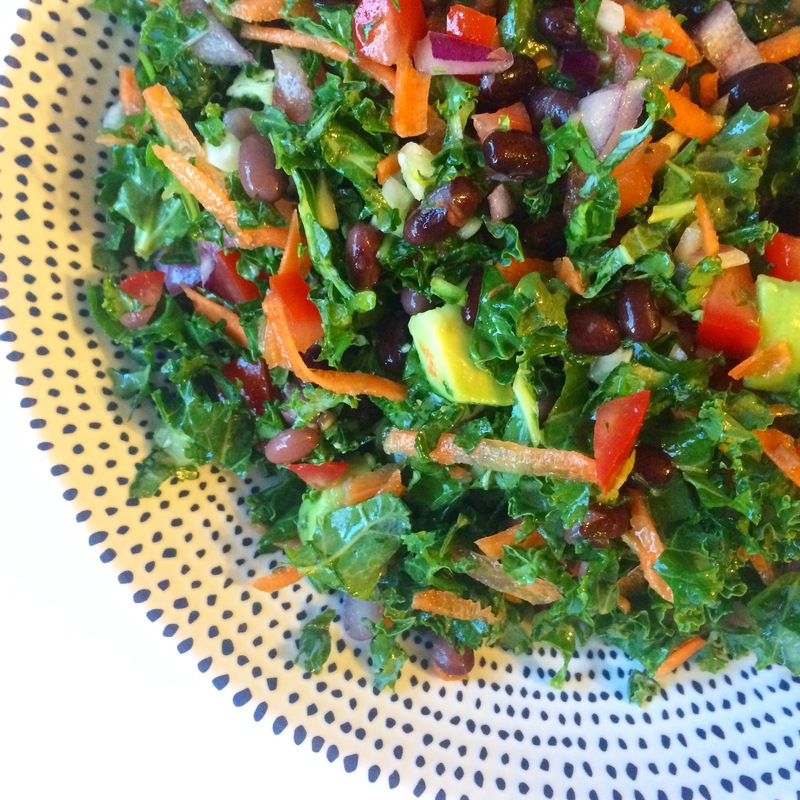 Basically, a mix of cooked black beans, kale, tomato, parsley, avocado, fennel, onion, and carrots, dressed with olive oil and lemon juice. Calories there were 308. The total for the day (no snacking! Just rice milk!) came to 1242.